Take me back to the days where the only hustle I needed was just enough to make it to the cupcake shop in time before it closed! 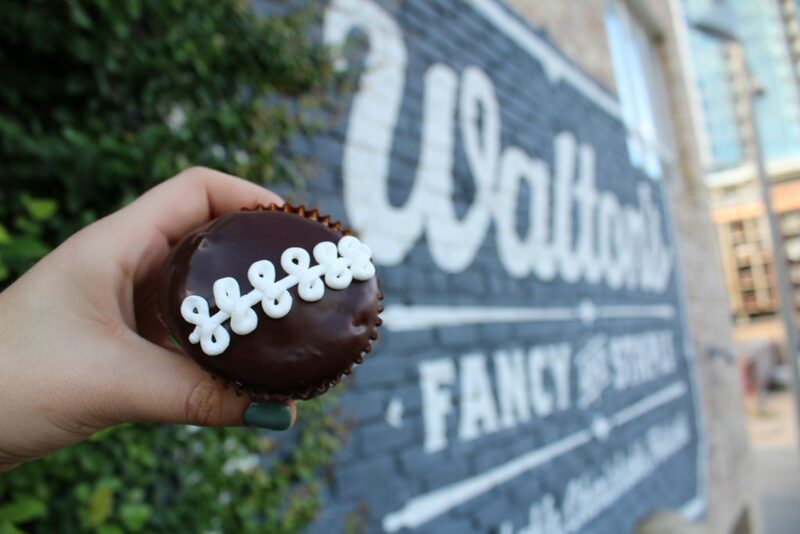 These pictures were taken downtown Austin, Texas right outside of a little bakery called Walton’s. While hanging out with my friend Anna over the weekend (to clear all confusion, her name is Anna too) we impulsively decided that we wanted sweet treats and opted to haul ourselves out to track some down. Within seconds of our sweet tooth craving Anna yelled out, “hurry they close in 10 minutes!” Hahah! We grabbed our wallets, slipped on our shoes and took off running (literally). Anna had a specific bakery in mind and we had all of 10 minutes to make it there in time. After a sprint through downtown Austin we arrived with just enough time to snag a cupcake and a piece of pumpkin pie! The brick-walled bakery, deli & flower shop with a rustic-chic interior was well worth the hustle! My hustle this week is oh so different. Back to the grind! From workout clothes to work clothes I have about 138273891273 things that I need to accomplish both at home and in the office! I can’t wait to share more about my trip and a little travel guide for all of you Austin lovers out there very soon but in the meantime, I am busy busy getting myself back on track. It’s looking like I will be buying a car rather than a cupcake today due to some unexpected car troubles. I will be hustling right on over to the car dealership after work. Ohhhhh the joy of being back to reality! Stay tuned! Travel guide, car update and other fun things are on their way! I got a lot of questions about this outfit after it made its debut over on Instagram. I love being a VIP Fabletics member and highly recommend it to anyone who is in limbo and loves workout gear! Shop my picks HERE!